Diet is the most important thing when building abs. Learn how to eat in order to build muscle and keep off fat. A high protein and low carb approach is a great way to build muscle and lose fat. Losing fat is the second key. If you have a layer of fat over your abs you will never see them no matter how good they are. Work your abs like any other muscle. Add weight constantly so you don’t stagnate. Bruce Jun Fan Lee was born in the hour of the Dragon, between 6 and 8 a.m., in the year of the Dragon on November 27, 1940 at the Jackson Street Hospital in San Francisco’s China- town. Today, a plaque in the hospital’s entry commemorates the place of his birth. Bruce’s birth, in the hour and the year of the Dragon, is a powerful symbol in Chinese astrology. 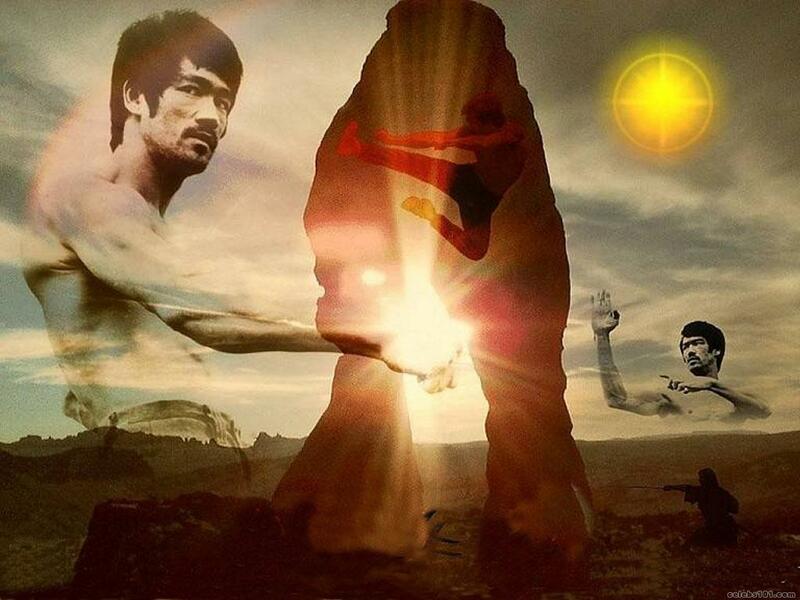 It would be a strong omen of the powerful life that was to be lived by Bruce Lee and the explosive impact his life would have on countless others. This exercise strengthens your arms, forearms, shoulders, biceps, lats, triceps, chest and abs. “This exercise works almost your whole body,” Wong says. “It’s really good; it’s effective. But it is also very difficult. Although Bruce lifted a lot of weight, most people can’t. I remember trying to lift what he used, and I couldn’t even hold it.” To begin, stand with your feet slightly wider than shoulder width. Squat, grab the barbell with an underhand grip and stand up. Keeping your elbows by your side, raise the weight straight out, hold for a second, return and repeat. Do three sets of 8 to 12 repetitions. When you’re done, do three sets of 8 to 12 reps withan overhand grip. “Bruce did this drill a lot.” Wong says. Hold a five-pound dumbbell in each hand, assume a fighting stance and alternate throwing punches with each hand. “Do these moderately fast,” Wong says. To prevent an injury, however, don’t throw your punches too fast. Do two to three sets, 10 to 15 reps per set. This drill strengthens your wrist, which means your punches will be stronger. 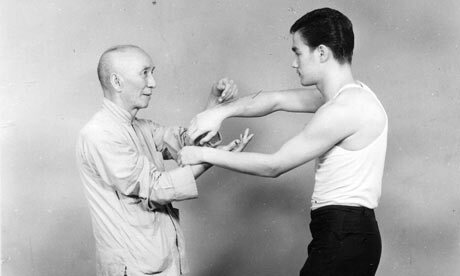 Lee used this exercise to enhance his one-inch punch, Wong notes. To begin, stand with your feet about shoulder-width apart, and hold a five-pounddumbbell in your right hand. Keeping your arm to your side and using only your wrist,raise the dumbbell as high as you can and lower it as far as you can. Do two sets of 25 reps. When you’re done, do two sets of 25 reps, moving your wristfrom side to side as far as you can. “This is isometric training for power punching,” Wong says. “It was one of Lee’s favorite drills because it built speed and punching power at different ranges.” To do this, you can use a jump rope, a karate belt or a strand of rope. To begin, assume a fighting stance and hold the rope in both hands. Place your left hand behind your back, wrap the other end around your shoulder and throw a short-range punch. Hold it for five seconds, extend your punch to ¾ distance, hold it for five seconds, extend it to full range and hold. For each arm, do five sets of five reps. This drill is for leg strength and mobility. To do this drill, you’ll need a four- foot long board with a shoulder harness strapped in the middle. To begin, assume a fighting stance on the board and place the harness around your neck. Exerting a constant upward pressure, lean forward and then lean back. Do three sets of one minute. As you improve, increase your time. Hand Isometric Drills This drill strengthens your forearms, which is great for trapping and punching. You will need the board for this exercise also. Stand with your feet shoulder-width apart, wrap the straps around your forearms and exert pressure upward. Do three sets of one minute. Don’t rest more than one minute between sets. To do this drill, you’ll need a Bull Worker, which you may be able to find at a sporting goods store. Assume a fighting stance, hold the bow straps in each hand, and throw as many punches as you can, as fast as you can. “Do these real fast, and do as many as you can,” Wong says. Do two to three sets. 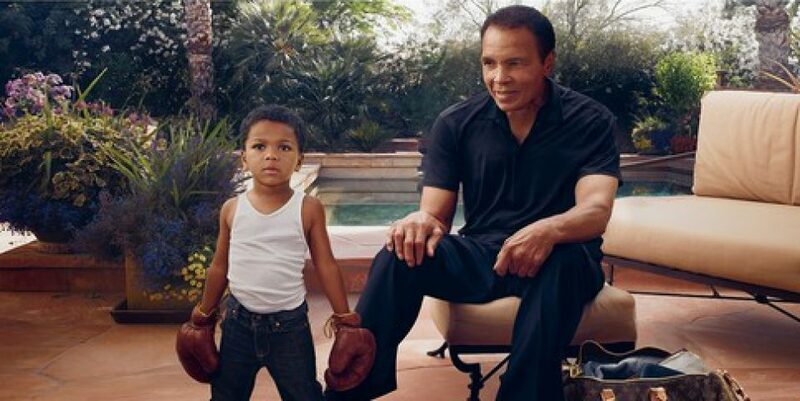 You can throw backfists or straight punches. This device also enables you to adjust the tension. The purpose of this study was to evaluate the heart rate (HR) responses of specific Taekwondo training activities, practiced by experienced practitioners in a natural training environment. Eight male experienced Taekwondo practitioners, with 3-13 years (5.4 +/- 3.2 years) experience took part in a 5-day Taekwondo training camp. Continuous HR measures were recorded at 5-second intervals during 6 training sessions; each session was observed and notated, and a diary of training activities was recorded. The HR responses were assimilated into 8 fundamental training activities for analysis: elastics, technical combinations, step sparring, pad work, forms, basic techniques and forms, sparring drills, and free sparring. Taekwondo training elicited HR into 64.7-81.4% of HR maximum (%HRmax). Moderate relative exercise intensities (64.7-69.4%HRmax) were elicited by elastics, technical combinations, and step sparring. The remaining 5 training activities elicited hard relative exercise intensities (74.7-81.4%HRmax). One-way repeated-measures analysis of variance with post hoc analysis revealed that elastics, technical combinations, and step sparring elicited significantly lower relative intensities than the remaining training activities (p > 0.05). Furthermore, forms, basic techniques and forms, sparring drills, and free sparring elicited significantly higher relative intensities than the remaining training activities (p > 0.05). In conclusion, all Taekwondo training activities in this study seemed suitable for cardiovascular conditioning, although different training activities stressed the cardiovascular system to different degrees. Practically, this suggests coaches need to structure Taekwondo training sessions based not only on the technical and tactical needs of practitioners but also in a manner that enables sufficient cardiovascular conditioning for competition. Contemporary accounts of Malay culture that focus on shamanism, dance, medicine and performance reveal only a partial view of Malay mysticism. However, given knowledge of the Malay martial art (silat) a more comprehensive understanding of Malay mysticism, religion, sorcery and magic becomes possible. Recognizing the silat master’s (guru silat) role in Malay mysticism reconfigures the social anthro- pology of Malay religion, sorcery and magic. Hence this account explores Malay mysticism, shamanism and sorcery from the perspective of silat, which may be considered as a kind of embodied war magic or warrior religion. Part II, echoes, sketches eleven silat styles, alongside silat weaponry, dance, and martial techniques, before turning to the distinctive features of Seni Silat Haqq (Chapter 3). Next, I address the cosmology of silat, especially the shadow and reflection soul, which relates to Islamic Sufism, Malay magic, shadow theatre, and to notions of appearance and reality. Changing tack I consider Islam as a war- rior religion, analyzing the secrets of the prayer, chanting (dhikr), and the idea of becoming a shadow of the Prophet (Chapter 4). state (Chapter 5). Chapter 6 considers silat practitioners travelling from England to Malaysia, and Malaysian practitioners travelling to England to stage a theatre show. British students experienced social dramas engineered through collective forty- day retreats where adherents expected to break their egos (nafs), which considered alongside theatre raises questions concerning how social and aesthetic dramas feed into one another. Part IV, shadows, charts the unseen realm (alam ghaib). Divination rituals pro- vide the guru silat with a personality theory, followed by an ordeal through boiling oil to reveal the power of God to grant invulnerability. The experience of these ritu- als examined together with cross-cultural and historical data, alongside theories of debunking, ritual heat, and war magic, let me to propose a theory of occulturation, meaning the attribution of occult power to esoteric skills (Chapter 7). Finally, Chap- ter 8 traces death and the afterlife. In summoning the shadows of the potent dead via martial dance, artwork, and urobic icons silat physically and spiritually transforms the practitioner by relinquishing their fear of death. Shaykh Nazim and H.R.H Shaykh Raja Ashman both generously gave their per- mission for this study to be undertaken. Pa’ Ariffin introduced me to silat in 1996 and provided warm hospitality during my many stays at his houses in Malaysia. Hospitality was also extended by his family including Muss, Din, Tutak, Watri, Jad, Fatima, Mrs. Mahidin and Pa’ Tam. I would like to thank the entire Seni Silat Haqq Melayu troupe, including Moone, Cecily, Chief, Colin, Toby, Paul and Nazim. Nir- wana Gelanggang in Kuala Lumpur, especially Cikgu Kahar, Jazwant, Solleh, and Rambo taught me valuable lessons. Cikgu Ezhar initiated me into silat gayong. I am grateful to the late Razak for hosting me after some particularly greasy fieldwork. The Martial Arts: An Introduction To The Arts Themselves And The Sciences That Make Them Work. What makes Martial Arts tick? What is the real force behind a powerful punch, a well-executed kick, or a beautiful flowing kata? How can a student train night after night, year after year and still enjoy the training routine? I have seen amazing feats of strength; agility and stamina performed by expert martial artists and have often wondered where this power came from. In the martial arts this phenomenon is called “KI”, or, the Chinese version “CHI”. Many believe that it is a powerful force that is mystical in nature, energy whose source is located in the lower abdomen of your body. Many try to harness this “CHI” through deep abdominal breathing, meditation, or by training privately with a master who will someday divulge his most deepest secrets to them “CHI” is the story of a 130 pound mother picking up one end of a car that has fallen on her son. (We’ve all heard that one). It allows one to be able to walk over a bed of red-hot coals in one’s bare feet and not get burned. It is watching someone break tons of ice with a single blow of their hand. Or could “CHI” be something that exists even in a deeper and darker place? Many masters believe that it takes long years of training and development to actually begin to accomplish “CHI”. Many claim to have it, but few can demonstrate it. Since the largest muscles in your body are located in or near the center of your body and provides the external power needed for performance, by exercising and eating correctly, you can keep those big muscles in and around your gut toned and firm. Those masters who posses large stomachs and who claims to have “Chi” are only fooling themselves. Instead of “Chi”, they have heart-destroying fat. (See MPKA Blue Book/ Health and Exercise). Let’s break down “Chi” into its component parts and see if we can somewhat unravel this mystery. We will do this in twelve steps. 1. The first rule of building “Chi”, or inner strength, is to build outer strength. A weak body cannot continuously call up inner reserves if the outside body has not built up these reserves in the first place. There is just nothing in existence to call up. By working muscles to exhaustion, then letting them rest, will allow these same muscles to perform at a stronger and quicker pace the next time that they are asked to perform that same task again. It is a continual process. The key word here is “continual”, day after day, year after year. Muscles are obviously inside your body, as are your vital organs. When you exercise, you are working out the entire body, inside and outside. The more often you perform a difficult strength task, the more inner strength you create. 2. “Chi” also comes from a balanced use of mind and body. Your mind (brain) controls your body, for good or bad, for strength or weakness, for health or sickness. By constantly sharpening your mind you build quick mental reflexes. An alert and trained mind can activate the body to react to an outside stimulus in split seconds, sometimes to the amazement of others. The faster that you can perform a certain task, the easier it is to call up those inner reserves to bolster lightning quick reflexes, reflexes that the average person does not have, or have never used. Just as you must exercise the body to gain outer strength and endurance, so must you exercise the mind to gain mental strength and automatic action and reaction. The person who reads, does cross word puzzles, learns intricate katas and practices them often, engages in math and science projects, or who take up an exciting hobby that involves thinking and problem solving, is developing a well-honed and sharp mind. 5. A strong, realistic, vivid imagination can contribute to a stronger “Chi”. Here are two good examples of this. A. Let’s discuss the simple reverse punch, as performed traditionally. You are in a side 45-degree horse stance, knees bent, left hand out in front of your body in a guard position, right hand is on your right hip. Your eyes are focused on your opponent’s chest, which allows you to view him from head to foot. You are breathing easy as you observe your opponent inhaling and exhaling air. As you notice him filling his lungs with air you prepare to strike (a balloon filled with air will burst when struck by a sharp object, one that has no air will not.) Quickly you twist your hips, move to a forward bow and arrow stance as your right hand lashes out towards the target area, while your left guard hand recoils with a snap to your left hip. Your target area is his nose, so you are aiming for the back of his head (as in board breaking, you are punching through the target, and not to the target.) You imagine a burst of energy arising from your gut, and like little direction arrows, this energy goes up through your chest, travels down your arm and exits out your striking fist, which slams into the attacker’s nose, exerting a loud kiai, as your arm locks in an extended position, fist clenches and tightens, while at the same moment in time your legs and fist lock in a forward position. Your attacker goes flying backwards across the room. The more vivid your imagination, the more energy that you will produce, thus the more “Chi” that you generate. So much for the theory that the reverse punch is a simple process. Again, nothing mystical, science prevails. 6. “Chi” can be built by adding excitement to your routines. Have you ever performed a top winning kata and felt chills or sensations running throughout your entire body? There was something special about that day. To repeat this moment take pen and paper and list everything that contributed to that winning effort. Put down all the details, no matter how trivial they may seem now, memorize your list. Did you practice extra hard for this event? Was the level of competition excellent, thus motivating you to try harder? How did you feel physically and emotionally on that day? Again, memorize your list. Now every time you practice your kata, kumite, or take your next belt rank test, call to mind your list and determine to duplicate this winning event again. 12. In this last step we must ask, is it possible that some people are born with “Chi” and develop it as they grow and mature? There are those who can play a musical instrument at a very early age in life and who cannot read a note of music. Where do the skills of a young artist come from who has never taken an art lesson. Is this the mystical “Chi” that we hear and read about? Can we classify “Chi” with words like talent, skills, ability, or is it something very special, only given to selected people at birth? No matter the answer, this group is small in number, while the rest of us have to work hard to develop “Chi”. We may not all be child prodigies, but with time and effort, we can become very talented in our chosen martial art field. What’s most important is that, as teachers, we can help our students to develop “Chi”, something that they may never do on their own. The rule is : when you have something good, give it to others so that they can have something good also, and that is the most powerful “Chi” that you can have. 2. A balance between mind and body. 5. Developing a strong imagination. 10. Being a person of peace. 12. Using what you are born with. The ultimate formula for strong “Chi” is to combine all these forces together that spearheads right to the task at hand. You have the power of several men, your hearing is acute, your eyesight is sharp, your breathing is relaxed, and your strength and stamina has no bounds. You break more cinder blocks than you ever did before, you perform the perfect kata (the crowd goes wild), you lift weights far past your imagination, and you run faster and jump higher. Again, what is this mystical “Chi”? It is all these scientific combinations merging together to form super inner strength, or is it something unknowable? The perception is up to you. As a footnote, I believe that in years past it was easier to develop “Chi” than it is today because everything that a person received was done so by hard work and lean times. Today, much is given to our young folks on a silver platter. The word “given” means just that, no work, no struggle, no tested by fire. As a side note, I have taken courses in the mystical, magic, astrology and the dark arts. I could have presented “Chi” in this manner and given the reader many experiments to try. After much study, I am convinced that this is not the way to go, for this is the way of evil, and only harm and bad would come out of it. As for super “Chi”, I have not yet found the person who actually witnessed a shaolin priest picking up a 500lb urn and moving it to the side by using only his forearms. There are many legends and myths in the martial arts that cannot be proven. As for MPKA, and myselfwe will go with what is realistic, and with what works. Meanwhile, may the force be with you.